“Earlier industrialists and then defence contracts financed political parties. Nowreal estate does, especially in the states because chief ministers have easier access to it. The kickbacks are huge” – CharlesCorrea (Interview, Times of India,10 September 2008). From "Maytas, Hyderabad Metro and the Politics of Real Estate" in the EPW which notes "In the 10 days since the revelation of the massive fraud at Satyam, there has been much speculation that the holes in the software company’s books were caused by the promoters’ links with Maytas, the infrastructure company that in recent years has become the favourite of the government of Andhra Pradesh. This article puts under the magnifying lens the award in 2008 of the massive Rs 12,000 crore contract to Maytas to build and operate the Hyderabad Metro." Will the truth ever come out? What is this sham of corporate governance? Bernard Lawrence Madoff, an American businessman, and former chairman of the NASDAQ stock exchange who founded the Wall Street firm Bernard L. Madoff Investment Securities LLC in 1960 and was its chairman until December 11, 2008, when he was charged with perpetrating what may be the largest investor fraud ever committed by a single person. He is under house arrest until his indictment with a deadline of February 11, 2009. 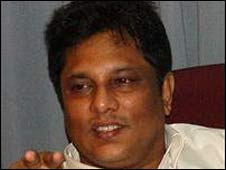 Lasantha Wickramatunga, editor of the major Sri Lankan newspaper the Sunday Leader and a vocal critic of the Sri Lankan government, was killed by unidentified gunmen on the morning of January 8 as his car was stopped in traffic in Colombo, the nation's capital. Wickramatunga was rushed to the hospital and died after three hours of surgery. The gunmen escaped on motorcycles. Wickramatunga, 52, had received death threats before. His in-depth coverage of government corruption put him under pressure throughout his career with the anti-establishment newspaper. The killing of Wickramatunga has brought new attention to the threats and violence that Sri Lankan journalists endure. The country is one of the world's most dangerous for reporters. Now, with prominent coverage of the story of his death, the Sri Lankan government faces new pressure to ensure the safety of its media. At these moments, America has carried on not simply because of the skill or vision of those in high office, but because we, the people, have remained faithful to the ideals of our forbearers, and true to our founding documents. Israel turns Gaza into weapon testing lab? Israel has turned Gaza into a research laboratory to test out its new "extremely nasty" weapons on Palestinians, say on the scene medics. After working for 10 days at the Shifa Hospital in the war-torn Palestinian territory, Dr. Mads Gilbert, a member of a Norwegian triage medical team in Gaza, blasted Israel for conducting experimental military work in the impoverished strip. DIME, which is an experimental kind of explosive, is believed to have strong biological effects in those who are hit by the "low lethality" weapons. In order to grasp the latest devastating and murderous Israeli expedition in Gaza, one must deeply comprehend the Israeli identity and its inherent hatred towards anyone who is not Jewish and towards Arabs in particular. This hatred is imbued in the Israeli curriculum, it is preached by political leaders and implied by their acts, and it is conveyed by cultural figures, even within the so-called "Israeli left". China's tainted milk led to the deaths of at least six babies and illnesses of nearly 300,000 others. Tian has pleaded guilty to charges that could lead to the death penalty. Tian Wenhua, former board chairwoman and general manager of Sanlu Group Co., admitted in court testimony Wednesday that she knew of problems with her company's products for months before informing authorities. Her trial was the most high-profile yet in a food safety crisis widely seen as a national disgrace, highlighting corporate and official malfeasance. The fraud committed by the founding promoter and former chairman of Satyam Computer Services Limited, Byrraju Ramalinga Raju, and his cohorts, has revealed the underbelly of Indian capitalism in ways that few could have imagined. It would be tempting to perceive the unseemly episode as a manifestation of individual greed and malfeasance. But the corruption in Satyam goes far deeper than that: it is corporate cronyism at its crudest, including the negligence — at best — or complicity — at worst — of an internationally-renowned firm of auditors (PriceWaterhouse) and a clutch of so-called independent directors (among them an erstwhile cabinet secretary, the senior-most position that a bureaucrat can aspire for in the Government of India). 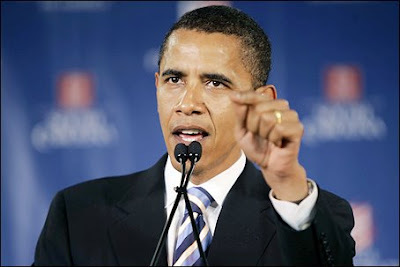 President-elect Barack Obama should make history. Not just on Jan. 20, but on April 4, as well. The latter date marks the 60th anniversary of the North Atlantic Treaty Organization, or NATO. When Harry Truman signed the North Atlantic Treaty six decades ago, he observed, "Events of this century have taught us that we cannot achieve peace independently. The world has grown too small." The words still ring true, but the world has changed. NATO must change, too, if it is to meet the challenges of the 21st century. The alliance's 60th anniversary celebration is the perfect occasion for Mr. Obama to announce a new vision for NATO.